Small business lead generating is a big deal over here in our marketing world! We are really good at helping you fill your sales funnel, but if these leads never follow through to a conversion and a sale then it is a wasted effort. While working with our small biz clients, we often hear that they have gotten “no leads”. Huh, that is weird since I see leads coming across the email, in blog comments and as requests for info on Social Media. I think what they are saying is that they have gotten no “sales” or new clients. This can happen because of a breakdown between leads and sales. Today we are going to look at all the pieces that go in making a successful lead to sales transaction. 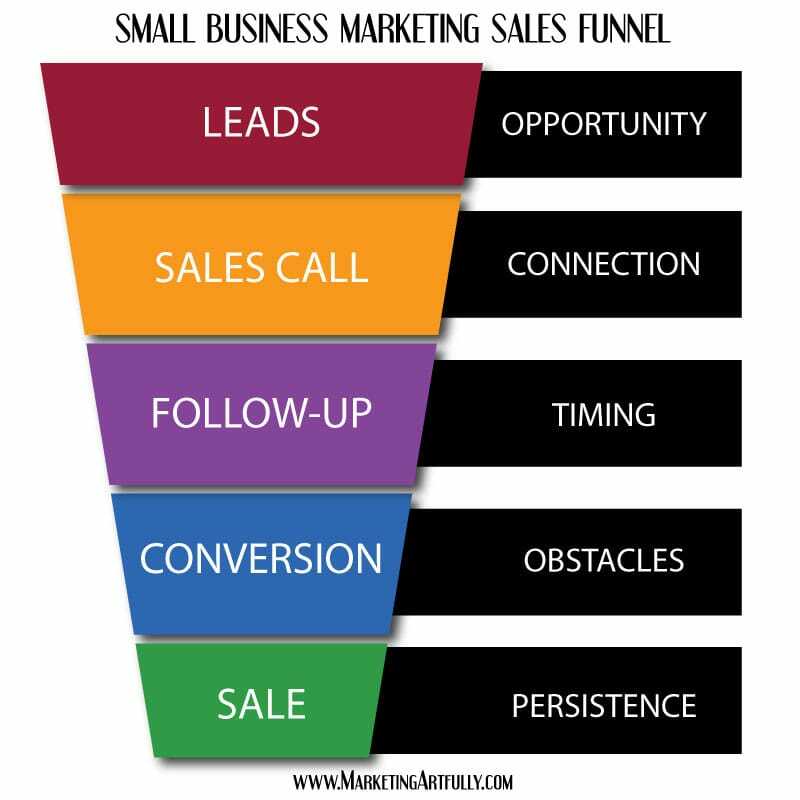 A sales funnel (also known as the sales pipeline) is the term for the process by which we add A LOT of leads into the top of the funnel and sales come out of the bottom, losing some along the way. The parts of the sales funnel can be called a lot of different things including prospects, suspects, and customers; leads, visitors and pre-qualifications. We are going to look at some of the normal sales-funnelly things, but then we are going to talk specifically about where your process may be failing your conversions. It can be VERY easy to get caught up in the labeling and not look a the practical aspects of going from propects to sales. Leads can look like many things. They can be a message sent through Facebook asking about your services, an email info request, a response back to your email newsletter, basically any time someone talks to you about the goods or services that you sell. THE FIRST THING you should do after getting one of these messages is to add this person to your database, CRM (customer relationship management software), or spreadsheet of prospects. Make sure to note what kind of service or product they were interested in. This is the first step of your sales funnel and just consists of collecting their contact information so that you can communicate with them on an ongoing basis. The first time that you contact this prospect (whether it be by email or phone), your goal should be to set an appointment. An appointment for a formal phone call or in-person meeting where you can talk over your offerings at a time that is convenient and when the prospect will be receptive to listening to you. I think that this should be over the phone as you have not pre-qualified this person enough to know if they are a good fit. Can they afford your product or service? Are they ready to buy within the next 30 days? Have they researched any of your competitors? These are all vital things to know and you are just wasting time meeting with someone who is not ready, willing and able to buy your product or service. I am going to tell you something that you may find shocking. Most prospects do not buy right away, gasp. Honestly, I have asked some of our clients how many times they followed up on a sales lead and they say that they never followed up because the person did not buy after the first contact. This is what we in the business call BURNING LEADS. The prospect raised their hand and said they were interested, but probably did not have enough information to take out their credit card and buy. You should follow up a phone call with an immediate personal note or email, thanking them for their time. You should then reach out with offers of additional info at least two or three times more over the next couple of weeks (put it in your calendar). After that, make sure they are on your newsletter list so they receive ongoing communications from you, which could remind them why they called you in the first place! If you are a typical small business owner, you are probably a TERRIBLE salesperson. If this is the case (as it is with me) you are going to need to hire someone to follow up for you. You can pay this person a fixed rate or “spiff” them an amount for each appointment they set for you. 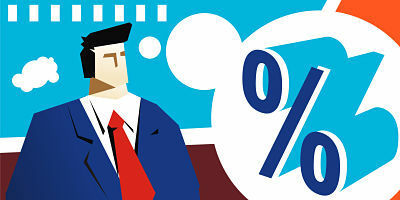 DO NOT skimp on this, a good salesman can make you more money than you ever imagined possible! Okay, you have a lead and they want to buy BUT they have not pulled the trigger (ie paid you yet). This is the most frustrating part of the sales process and one you need to look at very closely because it is probably your fault that the sale is not moving forward! First off, make sure it is VERY easy for your prospect to pay. Just this week we had a lady call and say she had been waiting for us to send her a link for payment. Now I KNOW that we sent that link over a week or so ago, BUT what matters is that we re-send it to her right away while she is paying attention to us. Another great example about how a process can fall apart is one of my bookkeeping clients. She takes her prospects, sends them to her salesperson to follow up, gets them excited about her services, they say they want to buy and then…NOTHING. In my opinion, the sale is falling apart because she expects them to gather their receipts, bank statements and other financial documents together themselves. To me it feels like, if they could do all that themselves, what would they need her for?!?!?! We suggested that she make a part of her services a two hour, holding-your-hand and getting your documents together startup meeting. This way, she will get the client on board AND she will be losing less of them due to the fact that they are terrible at accounting tasks. Overall, sales takes persistence and can be absolutely, soul-killingly hard if you are not geared to enjoying being a salesperson. BUT, if you make it a game to see how many people you can move down your small business lead generating sales funnel, removing speed bumps along the way, you WILL make more sales. This in turn will make it much more likely that you will want to do it again and and again!